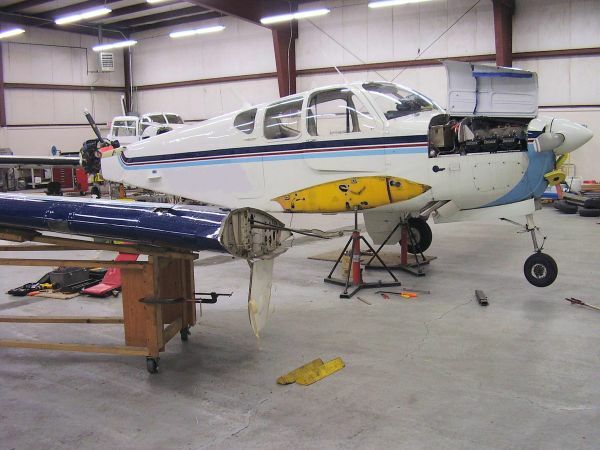 Tail flutter damage repair | Beech Bonanza | AVSTAR Aircraft of Washington, Inc.
"Shake Your Booty" takes on a whole new meaning. When conditions are wrong, bad things happen. 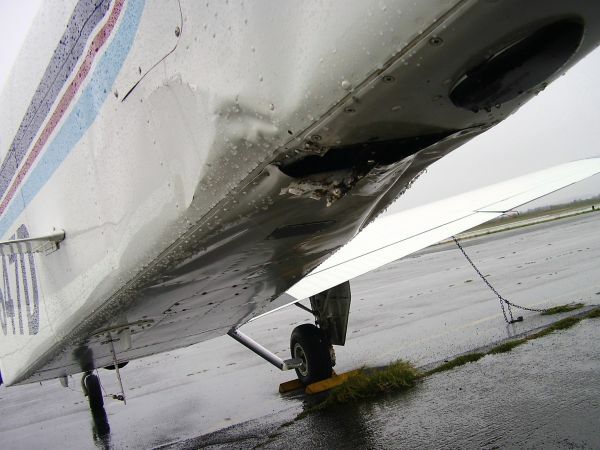 If an aircraft is out of rig, it will fight itself in the air. Combine that with the speed of a Bonanza, a bit of turbulence, and you get flutter. This guy was very lucky; he made a safe landing. 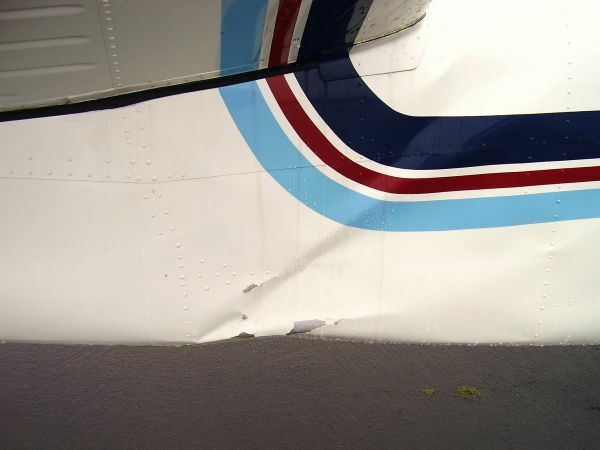 Damage caused by in-flight flutter is rather severe. 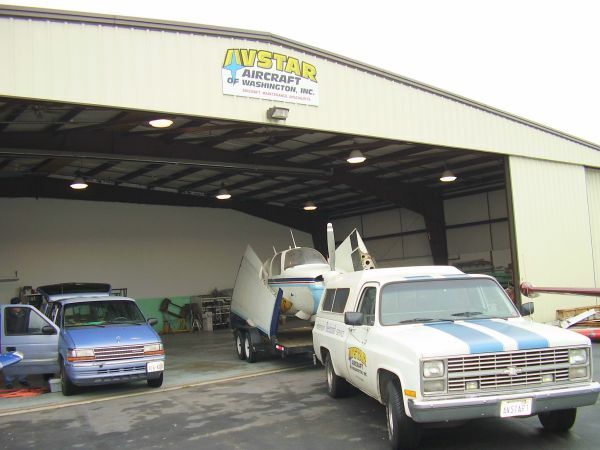 The decision to disassemble and truck to our facility was a no-brainer. 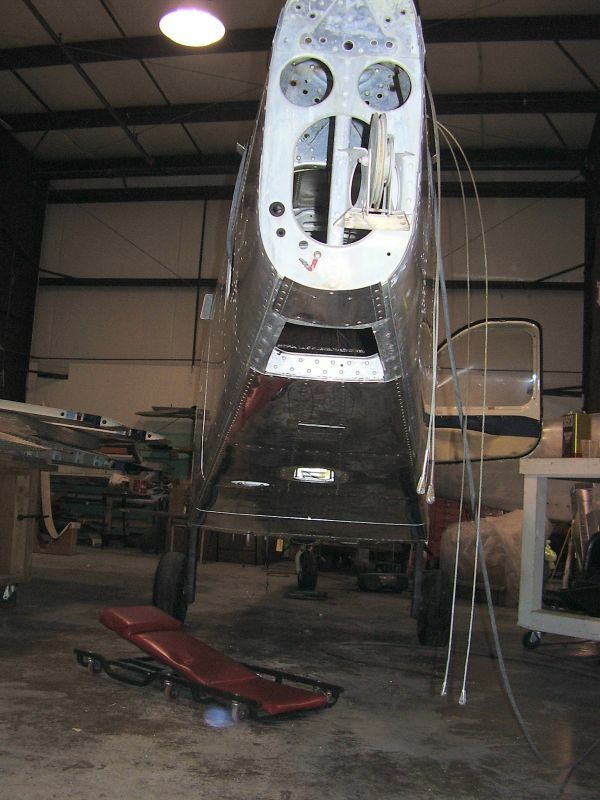 The skins and stringers were stretched and loose from behind the baggage compartment to the tail. 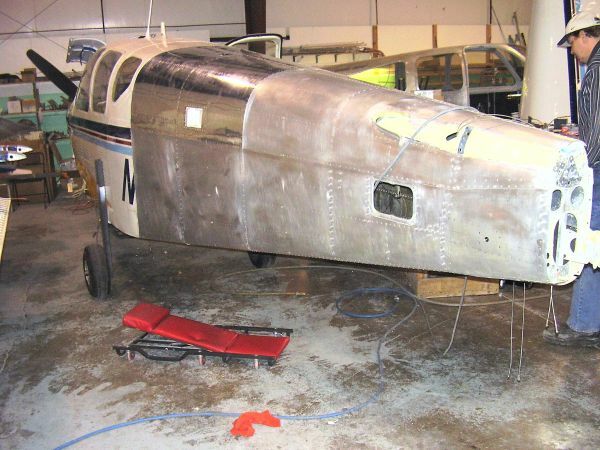 We obtained another fuselage section from a salvage yard and basically replaced the back half of the fuselage. 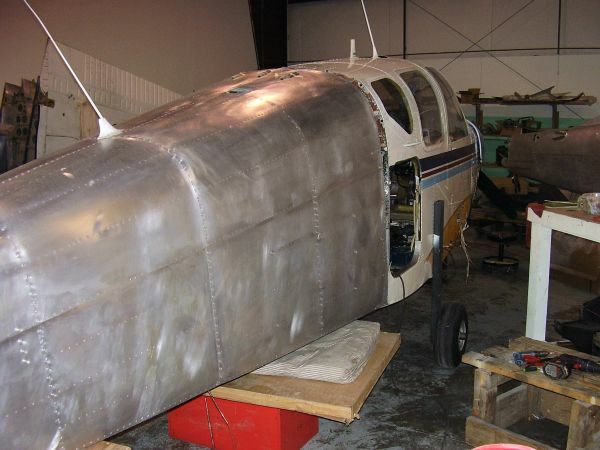 As the donor section did come from a salvage yard, new skins were also fitted and installed on the belly due to rash. A little time with the masking tape and paint gun and it looked as good as new.